Tia A. Grant 1st place winner of the middle school essay category in this year’s Global Connections Art & Essay Contest. The Istanbul Center would like to congratulate Tia Amarri Grant and Rayna Perry of Oglethorpe Charter School in Savannah, GA on placing 1st and 3rd respectfully in the middle school essay category in this year’s Global Connections Art & Essay Contest. Their prizes feature a student-teacher ambassador trip to Turkey in the summer of 2013. The Global Connections Art & Essay Contest is a co-curricular contest for middle and high school students to think critically about social problems and formulate active responses to local and global challenges through works of art and written compositions. 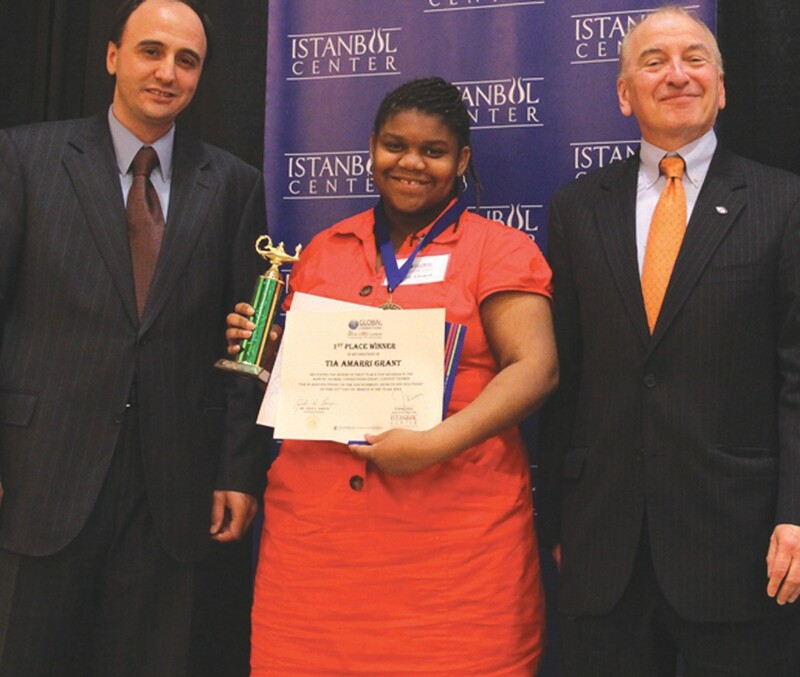 Grand prizes for the top twelve award winners’ features a student-teacher ambassador trip to Turkey in June of 2013. The theme for this year’s contest was “The Human Footprint on the Environment: Impacts and Solutions.” This theme was chosen to allow students to express their perspective on the environmental degradation occurring throughout the world. For a complete listing of top winners from the 2012-2013 Contest in all categories, including Honorable Mentions, please visit artessay.org.